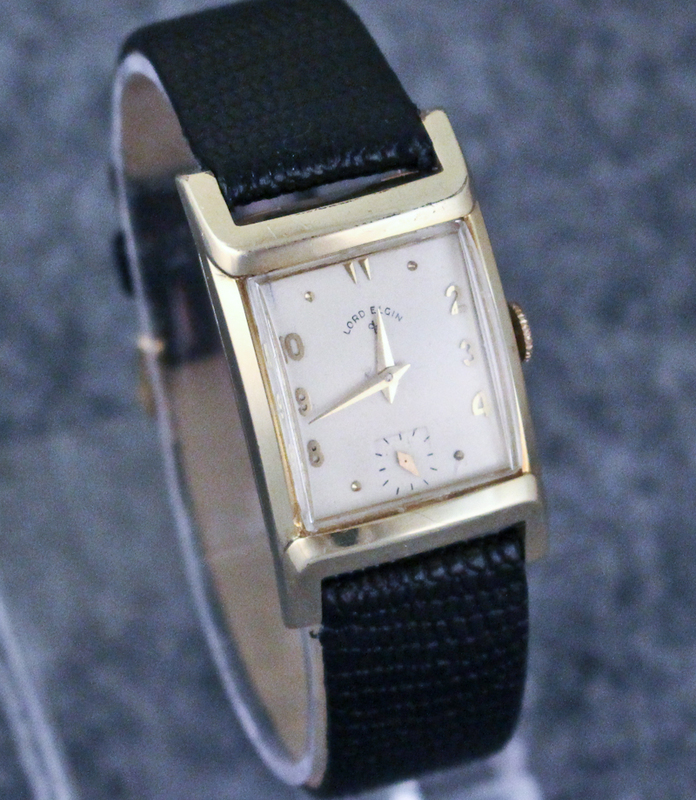 Very clean, elegant 1950s Lord Elgin. Category: Sold Watches Archive. 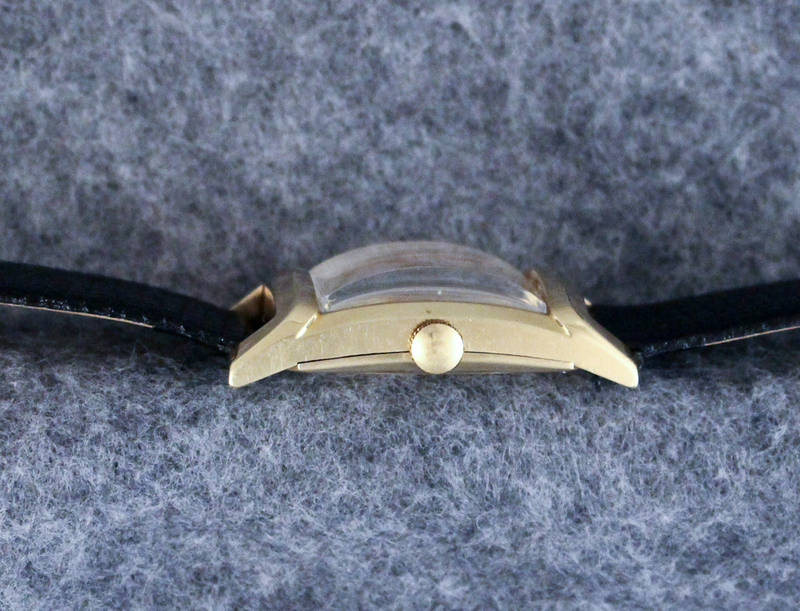 Tags: 14K gold filled, 1950s, 21 jewel, tank, yellow gold. This is a Lord Elgin model 4628. This model was produced in the mid-1950s and is one of the more clean, almost minimalist, designs, produced by Elgin. 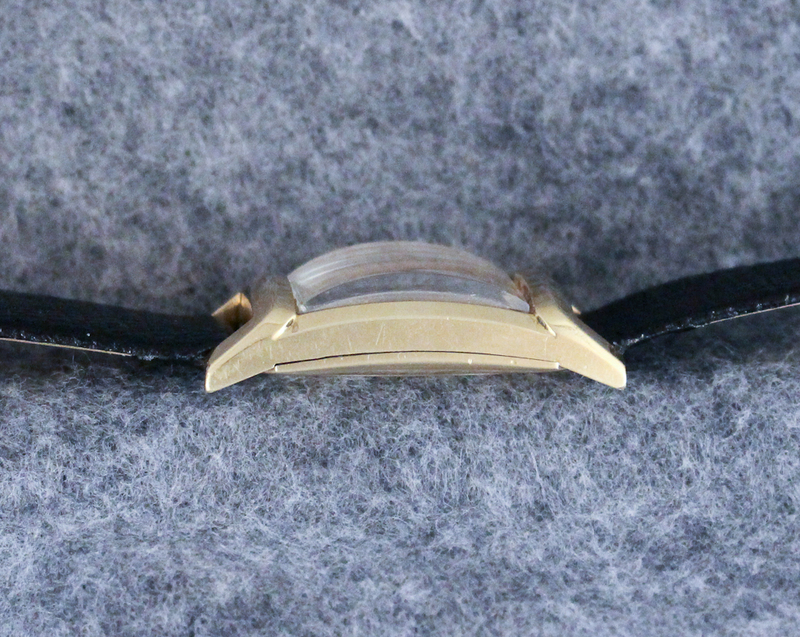 The watch is quite elegant with gently curving lines. This particular watch has been brought back to life since we’ve had it. The dial has been professionally refinished to original specifications, including the applied gold numerals and markers. The crystal is a new old stock crystal. 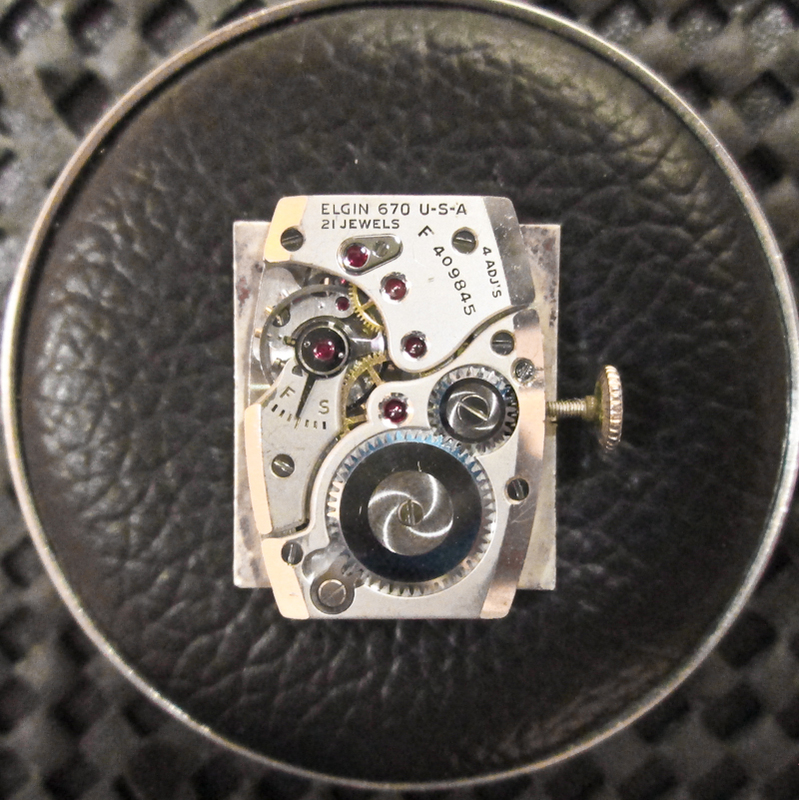 The case has been cleaned and polished and the movement times and tested. 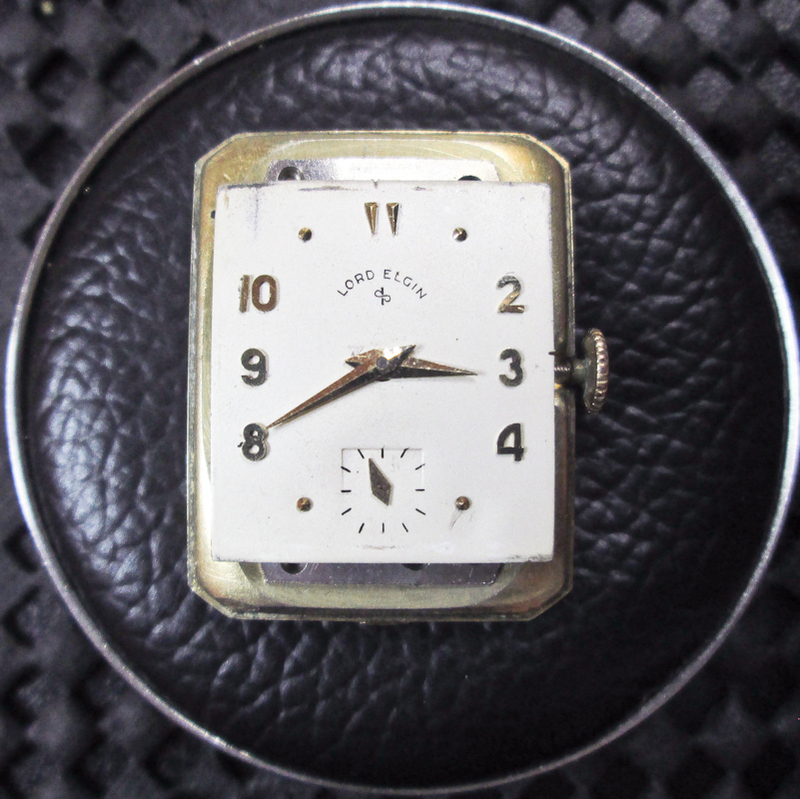 This is a really beautiful vintage Lord Elgin, ready to wear. 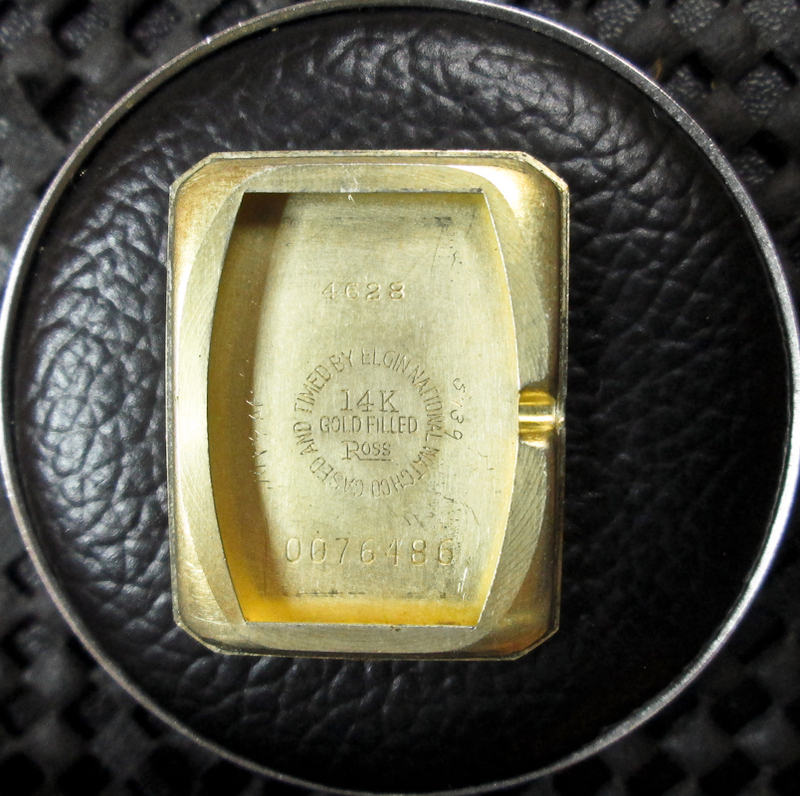 The 14K yellow gold filled case is in Excellent condition, with no brassing or wear through. The hands are all original and free from oxidation. 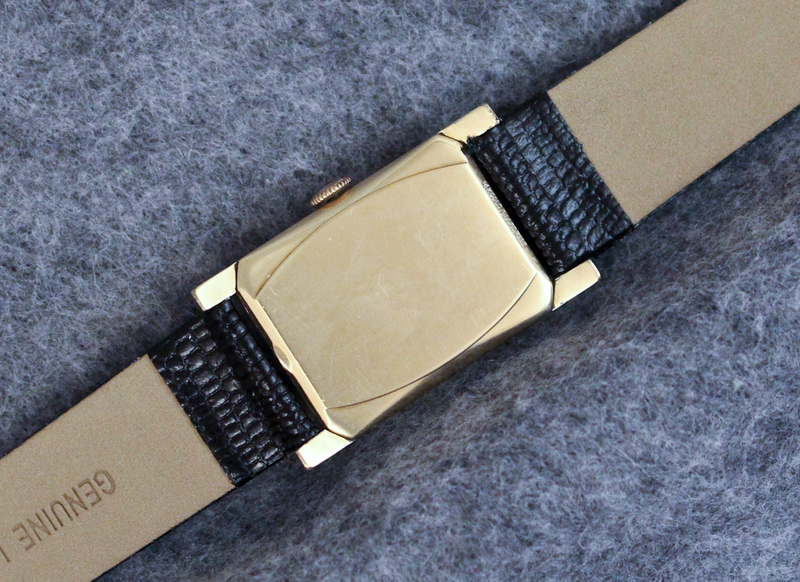 We’ve added a new leather band to the watch. The watch is powered by Elgin’s 21 670 movement. It is currently running well and keeping good time.